Evidence of police misconduct demands federal oversight. And citizens need tools for holding Mayor Rahm Emanuel and others to account. So what are citizens to do? “Seriously, a state that is corrupt and seemingly proud of it has no laws to impeach or recall crooked pols,” Stantis notes with regard to local officials. Stantis makes a key point. The website Ballotpedia explains that, with the exception of a narrow provision for recalling governors, enacted in 2010 after officials and citizens had struggled to figure out how to remove scandal-plagued Governor Rod Blagojevich, “the Illinois Constitution does not specifically address recall of local officials.” While one Illinois city, Buffalo Grove, has experimented with a local recall provision, Chicago lacks an adequate tool kit for holding mayors and city council members to account—just as it lacks term limits for Emanuel and other top officials. Of course, Emanuel could have been held to account earlier this year, when he faced reelection. The graphic video of the officer firing repeatedly at Laquan McDonald, who was moving away from the officer, is a year old. Had it been released in a timely manner, the political dynamic might well have changed for Emanuel, whose weak showing in a February primary forced the Democratic mayor into an April runoff. Emanuel and his wealthy backers had to spend millions to fend off a spirited grassroots challenge from progressive Cook County Commissioner Jesus “Chuy” Garcia. But Emanuel is still the mayor. And his actions as mayor should be examined as part of inquiries into much more than a single video. The Rev. Jesse Jackson, church leaders, and #BlackLivesMatter activists who have been protesting for days on the streets of Chicago have argued that, without an independent investigation, confidence in local law enforcement cannot be restored. The calls for federal intervention, and for the appointment of a special prosecutor, highlight concerns that Mayor Emanuel is either unwilling or unable to address the crisis. Yet, there is no structure to enable the people to hold Emanuel to account. That, too, is a crisis. If the federal inquiry is to be meaningful, it must extend beyond a review of police practices and include an investigation of the political side of the equation. There has to be an examination of the actions taken by the mayor, his aides, his appointees, and the city council. As a Sun-Times analysis notes, “Emanuel has been under fire for keeping the McDonald video under wraps until after the April 7 mayoral runoff and waiting until one week after the election to settle the case for $5 million even before the McDonald family had filed a lawsuit. The video was released only after a judge’s order.” Those are points of beginning for a broader inquiry. 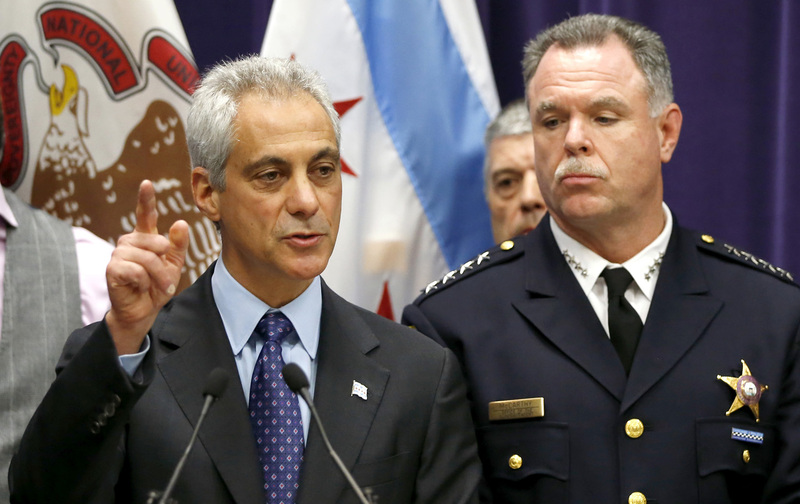 The crisis in Chicago demands attention, and accountability. It also demands the establishment of accountability tools that can be employed by the people. No matter how things play out for Mayor Emanuel in the current crisis, Illinois officials should recognize the inadequacy of existing election laws and provide Illinoisans with a clearly defined power (similar to that which is afforded citizens in states across the country) to recall state, county, and local elected officials—including the mayor of Chicago.